Home / Non-Profit / What Are Online Charitable Giving Portals? Online charitable giving portals reflect one of the interesting fundraising innovations of recent years. Giving portals typically are incorporated into a third-party’s website, such as that of a retailer or social media platform. They allow visitors to the site to make a donation to one or more charities. The gift may be added to another transaction, such as on a retailer’s site, or it may be a standalone transaction. Donor disclosures. Donors need to be given a clear indication of how their money will be allocated. If the site hosting the portal is taking a cut of the proceeds, whether as a percentage or as a fixed fee, that needs to be clear. Donors also need to know whether a third party will be managing the funds on the charity’s behalf. Donor privacy. One of the key questions a nonprofit should ask of a portal host is how the host will handle donor information. Some hosts may see the giving portal as an opportunity to gather valuable data that can potentially be packaged and sold. If a host doesn’t explicitly agree not to do this, the nonprofit needs to decide whether it is comfortable being used to generate value in this way. Tax compliance. Third-party operators of giving portals sometimes include tax compliance in their suite of services. They will provide donors with tax receipts and may also be responsible for preparing explanatory text about the gift’s tax status. 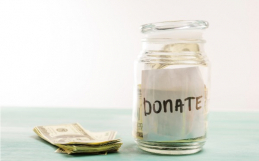 The nonprofit beneficiary needs to ensure that these steps are handled correctly. Intersecting laws and regulations. One of the great challenges of doing business online is the mindboggling array of potential legal potholes created by the mix of federal, state, and even international laws and regulations that may apply to a given transaction. In California both the hosts of giving portals and their beneficiary charities may have obligations to comply with the state’s laws regarding commercial fundraisers for charitable purposes. If the website’s host is located outside the state, or if it accepts donations from other states, other laws may apply. Perception. A nonprofit that will benefit from an online giving portal needs to consider how the host site may reflect upon the charity. Websites that host advertising may inadvertently display inconsistent messaging next to a request for donations. Or the host may change ownership and begin activities that aren’t aligned with the nonprofit’s mission. Although these nuances sound complicated, the truth is that many of them are manageable and more than a few of them are bigger problems for the host of a portal than for the portal’s beneficiaries. The Church Law Center of California provides nonprofit governance counsel to religious and secular nonprofits. We can help charities evaluate the merits and risks of working with third parties to establish charitable giving portals. Call us today at (949) 689-0437 or through our contact page.